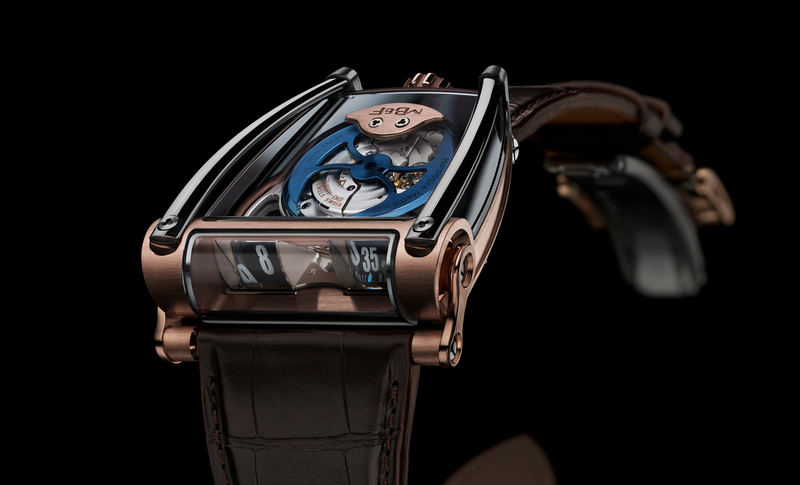 When you think of avant-garde haute horlogerie, I’ll be very surprised if MB&F isn’t the first name that comes to mind. The independent brand had wowed us time and time again, with each launch of a new “machine”. Their latest creation is the Horological Machine 8: Can-Am, proudly unveiled to the world on 27th September 2016. 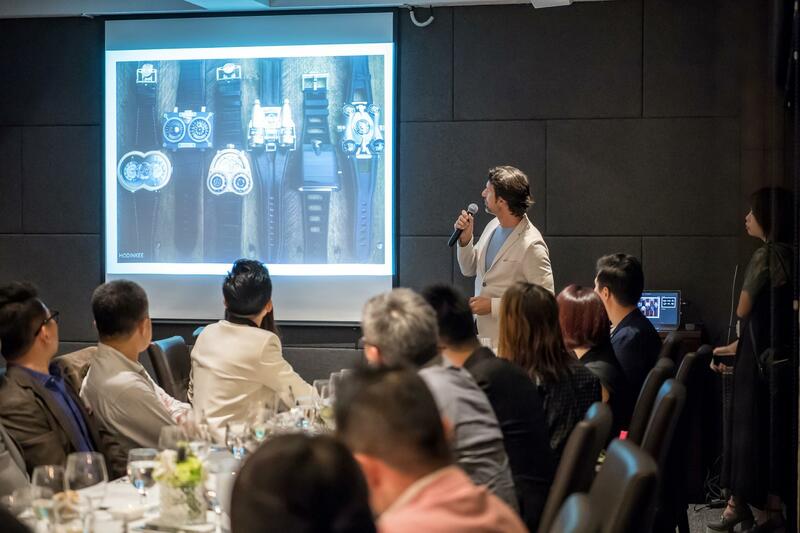 The Singapore Watch Club was very honoured and flattered to be invited by The Hour Glass, MB&F’s exclusive retailer in Singapore, to an intimate session with not only the new timepiece, but also Maximilian Büsser himself (the MB in MB&F). The fanboys finally meet their idol. Why HM8? What happened to the HM7? Because 3 + 5 = 8, Max explained. The new Can-AM incorporates elements from the 3rd and 5th Horological Machines, but also succeeds in looking fresh and unique. 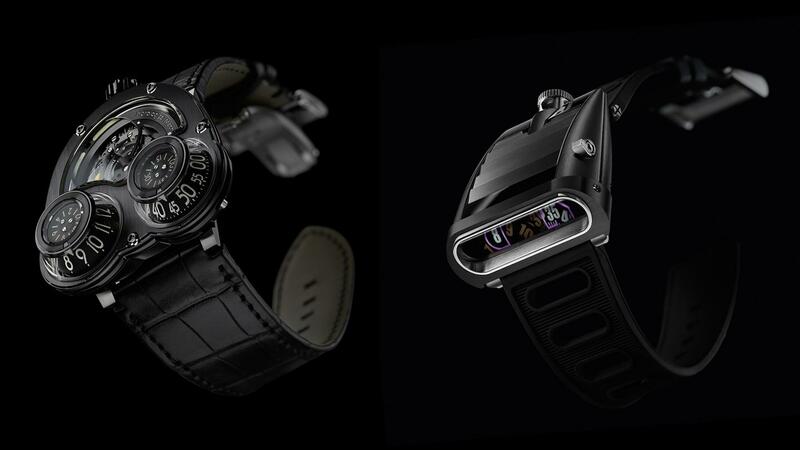 The HM3 Megawind Final Edition (left) and HM5 Carbonmacrolon (right). The HM8 Can-Am has a visible rotor on the “dial-side”, similar to the HM3. For time telling, it uses the same technology as the HM5. A highly complex and precise prism system that projects the time for reading from the discs below it. This system works well. It is highly legible and time telling is a breeze. The watch (or artistic sculpture that happens to tell the time, according to Max) is aggressively racing inspired. 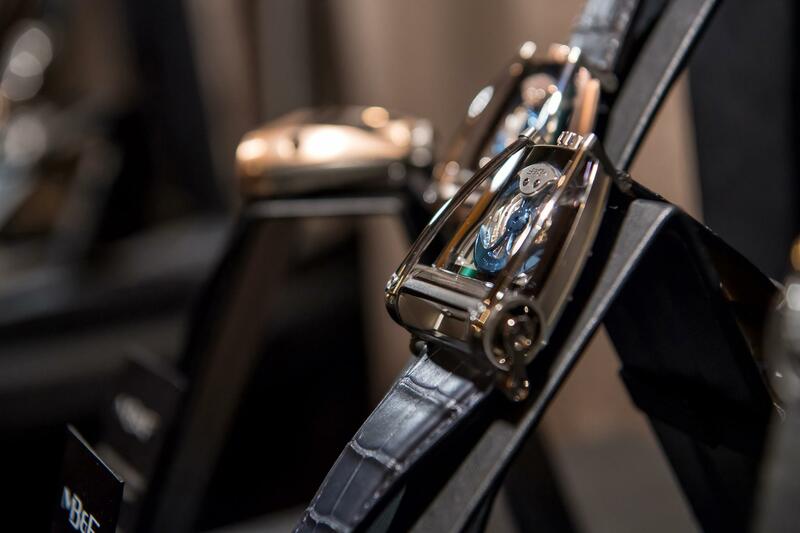 Its cutting edge case construction fully exposes the movement within and the hand finished titanium roll bars are unmistakably automotive inspired. Also interesting are its movable lugs. 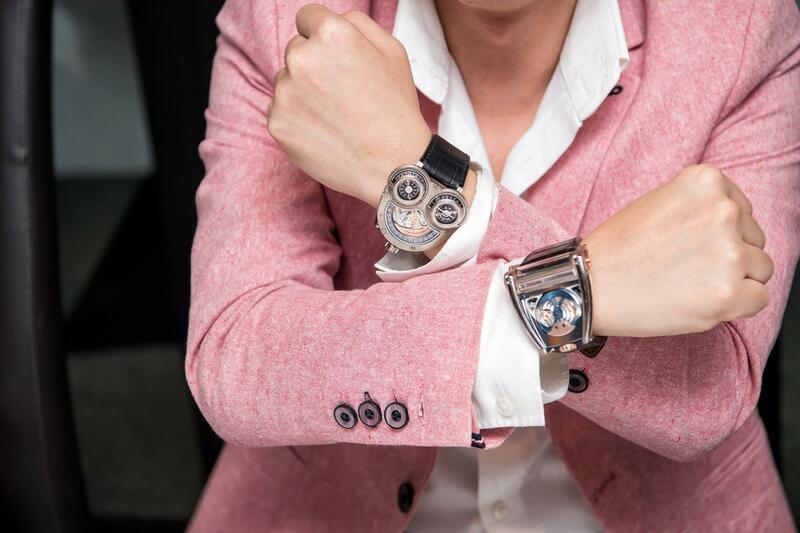 It significantly improves wearability on different wrist sizes. The “engine” under the “hood” in this case is a modified base caliber from Girard-Perregaux (247 components/30 jewels). The trademark battle-axe rotor is 22k gold, coated in blue. The movement is nicely finished and is completely exposed. Also seen here are the beautifully contoured titanium roll bars. 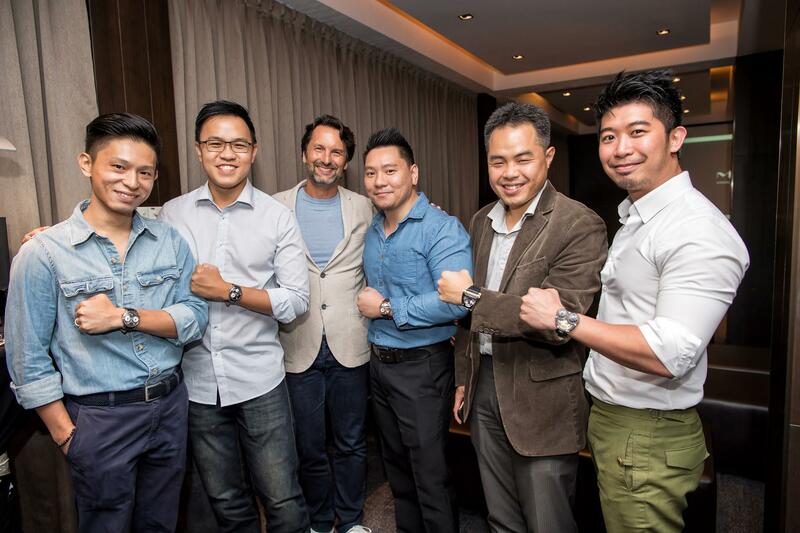 On behalf of the Singapore Watch Club, huge thanks to Michael Tay and The Hour Glass team for putting together this lovely event. 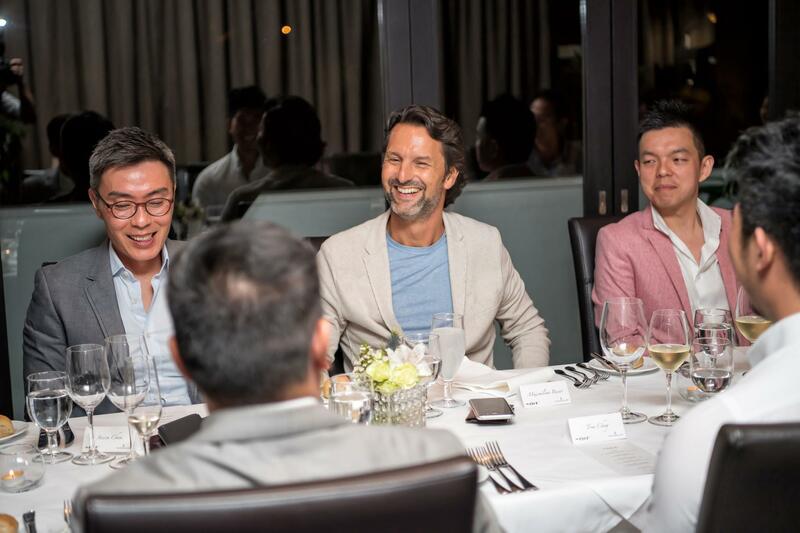 As watch enthusiasts, there’s nothing we appreciate more than an intimate session with our horological heroes and the evening was exactly that. Also thanks to Max for sharing his vision with us, it was an insightful peek into a very beautiful mind. 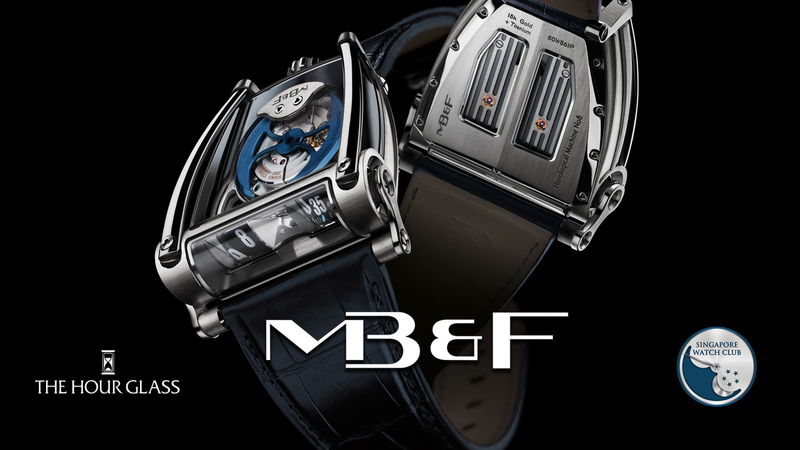 Congratulations on the successful launch and we look forward to many more mind blowing creations from MB&F.